NTSC Video transfer to PAL UK. In the old days of VHS video tapes tapes they came in many different formats. USA Japan and many far Eastern countries used NTSC. France and Russia used SECAM. 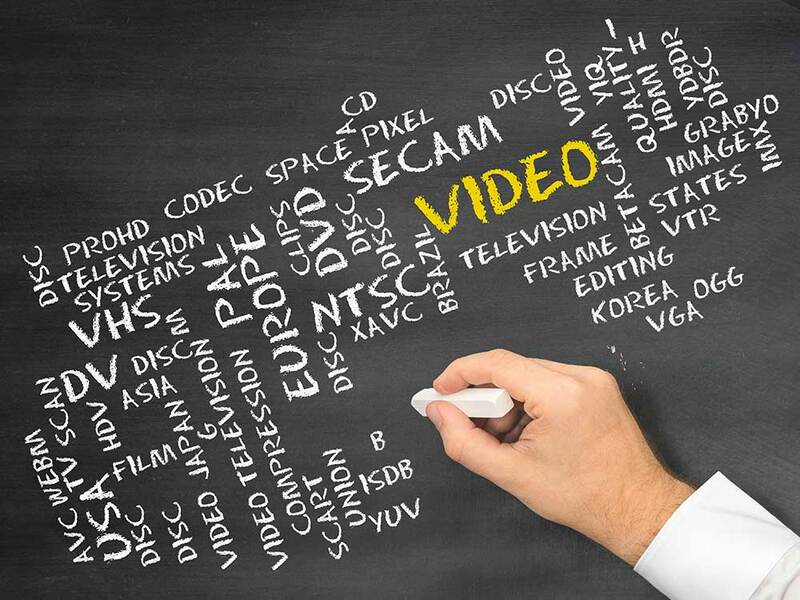 Here at video Image Productions we can transfer all world video standards. Any PAL NTSC or SECAM Video tape can be converted to DVD or any video computer format. Once the video has been converted it can be stored on USB memory stick, external hard drives or sent to your computer via a net based cloud service.